From the 19th to the 25th of March 2016, a huge event for Shito-ryu Shukokai Union will take place in Amagasaki, Hyogo, Japan, just like every year, where the 2018 Shito-ryu Shukokai World Cup and the Gishinkan Cup will be hosted together, for once more, in Baycom Gymnasium, along with seminars and a variety of different events! The main hotels we will be staying at are APA Hotel in Kobe (near Sannomiya Station) and we would suggest you to stay either in the same hotel, or, in hotels that are not very far from Sannomiya station, for your own convenience. How to communicate with back home, while in Japan? Communication with back home, for foreigners in Japan, can be quite a challenge sometimes. Everything has a different philosophy from the West: Mobile phones, Internet, Wifi hotspots, everything is different even from one European country to another, let alone in Japan! 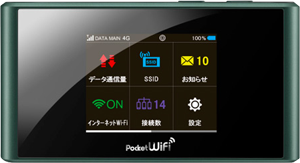 There ARE free wi-fi hot spots, but you will mainly need a Japanese Mobile Phone with a Japanese connection and, well, some good knowledge in Japanese language, in order to figure things out! So, we recommend the solution of POCKET WIFI ! You can even rent an iPhone, an iPhone SIM, an Android phone or an Android SIM card from this company, by providing your passport details. Please keep in mind: Today we are giving you a list with all the Kumite and Kata categories. Your country’s national representative / team leader MUST get in contact with our General Secretary, Dimitrios Petrakis (4th Dan) through the contact page, in order to register all participants (for seminars or for competition). * 4 competitors (the first winner, the second winner & 2 competitors of third winner) from 1, 2, 3 events and 2 competitors (the first winner & the second winner ) from 5,6 events will be selected by the lot at the court (tatami ). *** NOBODY CAN APPLY FOR NUMBER 4 – they will be selected automatically on the spot. * The combination of the competitors is FREE, for example : 3 competitors in the team can be the same age (7 ,8, 9 years old ) or all different ages (7,8,9 years old ) also it doesn’t matter if they are mixed with boy & girls (girl & boys ) or 3 boys, 3 girls etc… The combinationof the teams is FREE as well. It may be a match between a girl against a boy. Need at least 2 competitors in the team. * The combination of the competitors in the team is FREE. Same as 20.
allowed to perform the same kata successively. The Final : The kata that you didn’t perform in the previous rounds. * The contents may change by the numbers of contestants. Please ask & verify with the Chief of the court ( tatami ). * You have to perform the same kata in the 1st. & 2nd. round. From the 3rd. round, you can change to another kata or you can continue performing the same kata. * Not allowed to perform the same kata successively. Allowed to perform the kata which you performed already in the Preliminary. The Preliminary ( by points ) : Select one competitor from each block. The Final : Pinan Shodan to Godan ( different pinan which you performed in the Semi Final ), Gekisai 1&2 ( different Gekisai which you performed in the Semi Final ), JKF Shitei-kata, * You can perform the kata which you performed already in the Quater Final. * You have to perform the same kata. The 3rd. round / If you change to another kata, you have to perform diferent kata from the 1st.& 2nd.round. Allowed to perform the same kata successively. Team leaders of each nation are supposed to DOWNLOAD THIS EXCEL FILE and fill it in, in order to register their students and email it to the email address indicated within the file. The venue, the instructors and the syllabus of the seminars will be announced VERY shortly. Team leaders of each nation are supposed to DOWNLOAD THIS EXCEL FILE and fill it in, in order to register their students for seminars and email it to the email address indicated within the file. Grading starts at 14:00 SHARP on Tuesday, the 20th of March 2018. This means that you have to be at the honbu dojo at 13:00 SHARP (latest time of entry) for your warming up that you will do by yourself (along with your bunkai partners). Dan gradings will then begin at 14:00 sharp! Team leaders of each nation are supposed to DOWNLOAD THIS EXCEL FILE and fill it in, in order to register their students for dan gradings and email it to the email address indicated within the file.